The year 2017 is coming to an end and many of us will attend New Year’s Eve and New Year’s Day parties in Philadelphia, Pennsylvania, its surrounding counties of Montgomery, Delaware, and Bucks. Some of us may even cross the river into New Jersey, which is literally minutes from downtown Philadelphia. Regardless if you’re celebrating the New Year in Pennsylvania or New Jersey, it’s important to understand that too much celebration can cause more than a hangover the next morning, it can lead to criminal, misdemeanor, or even felony charges, which could result in thousands of dollars in legal costs and fees. Aggravated assault is by far the most serious of all offenses during the holiday season as it is graded as a felony in Pennsylvania and New Jersey. As I have written in previous articles, there is a tremendous difference between a felony and a misdemeanor offense. A felony will seriously limit your ability to move up professionally and even limit your ability to enter some professions like healthcare, law, or government work. In Pennsylvania, aggravated assault is graded as a felony of the 1st or 2nd degree, (Section 2702) depending upon the circumstances surrounding the incident. Aggravated assault is a felony of the 1st degree if the accused individual attempts to cause serious bodily injury to another or cause injury intentionally, knowingly, or recklessly under circumstances “manifesting extreme indifference to the value of human life”. Aggravated assault is also a felony of the 1st degree where an individual causes serious bodily injury to any law enforcement or other “enumerated” persons, which would include firefighters and EMS workers. Keep in mind that it is also a felony, graded as a 2nd degree offense, where an individual causes bodily injury to any of these individuals. Normally such contact would only result in a misdemeanor charge of simple assault but these persons are protected class and the law attaches special protection to them. Aggravated assault is also a felony of the 2nd degree where a person attempts to cause or knowingly causes bodily injury to another with a deadly weapon. Deadly weapon is broadly defined in Pennsylvania and is not limited to a gun or firearm. Also keep in mind that the legality of the weapon or firearm is irrelevant for the purposes of the aggravated assault charge and is a separate charge from offenses under Pennsylvania or New Jersey’s firearms act (Uniform Firearms Act [aka VUFA charges] and Graves Act). While simple assault is a much less serious offense that aggravated assault, it occurs when an individual attempts to cause or intentionally or knowingly causes bodily injury to another. Simple assault can also occur when a person acts recklessly or negligently with a deadly weapon. The charge of simple assault is normally graded as a misdemeanor of the 2nd degree in Pennsylvania, unless it is committed during a fight entered into by mutual consent. In this situation it is a misdemeanor of the 3rd degree under Section 2701. It is very common for a person to be charged with simple and aggravated assault, even though these charges would merge for the purposes of sentencing, as all of the elements of the aggravated assault charge are included in the simple assault. In addition to these charges, an individual could also be charged with recklessly endangering another person (REAP). This is a misdemeanor offense and is committed when a person recklessly engages in conduct which places or may place another in danger of death or serious bodily injury. REAP is graded as a misdemeanor of the 2nd degree. Finally, one of the most common charges that we see in Pennsylvania and New Jersey during the holidays is driving under the influence (DUI/DWI). I have written a number or articles on this topic in both of these states; I encourage you to read the ones focused on DUI refusals and field sobriety testing. Remember that if you’re stopped for suspicion of DUI you should not refuse chemical tests (blood draw or breathalyzer). It is always better to submit to the tests and have your attorney argue the admissibility of this chemical evidence at a motion to suppress hearing. Pennsylvania and New Jersey both maintain DUI/DWI refusal statutes. Even if your attorney is successfully able to argue that the prosecution can’t establish a refusal beyond a reasonable doubt, driving is a privilege and not a right in both of these jurisdictions. Remember that in Pennsylvania and New Jersey DUI/DWI are tiered offenses, which means that the penalties increase with your level of intoxication (BAC level). Please don’t confuse tolerance with your level of intoxication and I encourage you to read my article on the difference. A person charged with DUI in Pennsylvania or New Jersey could also face assault charges, as a court could find that a person’s impaired state equated to reckless conduct, which is an element of aggravated assault and also REAP. 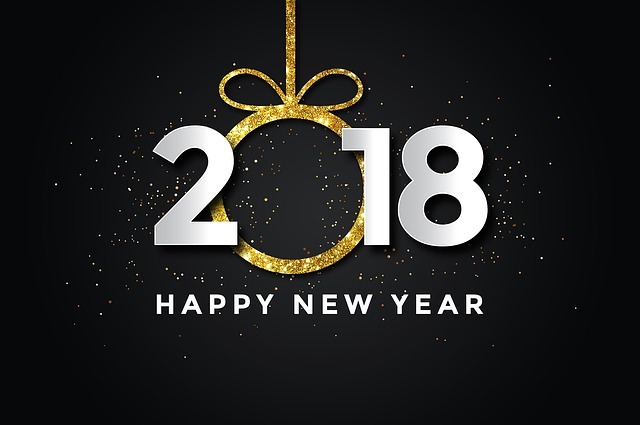 Our law firm wishes you and your family a Happy New Year and encourages you to visit our free download section for more information about us.